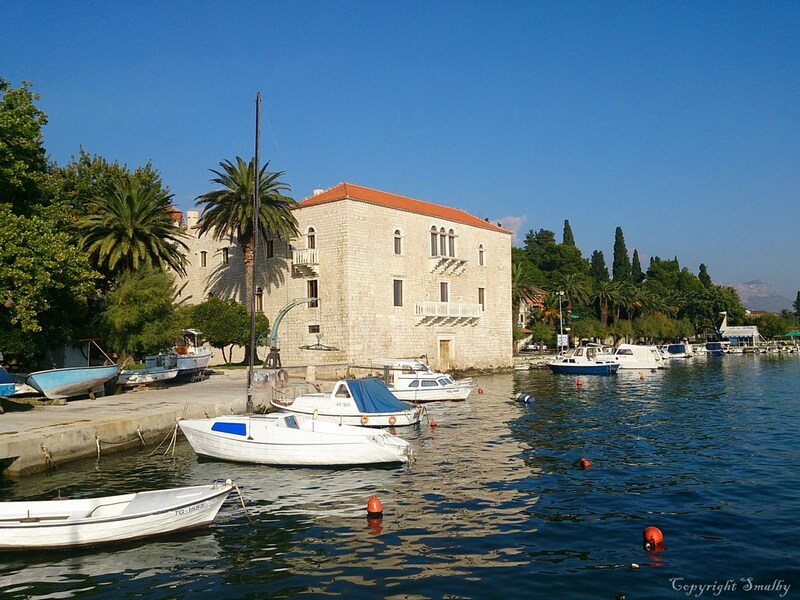 The city of Kastela is situated between Split and Trogir and it actually consists of seven smaller places called Stafilic, Novi, Stari, Luksic, Kambelovac, Gomilica and Sucurac. 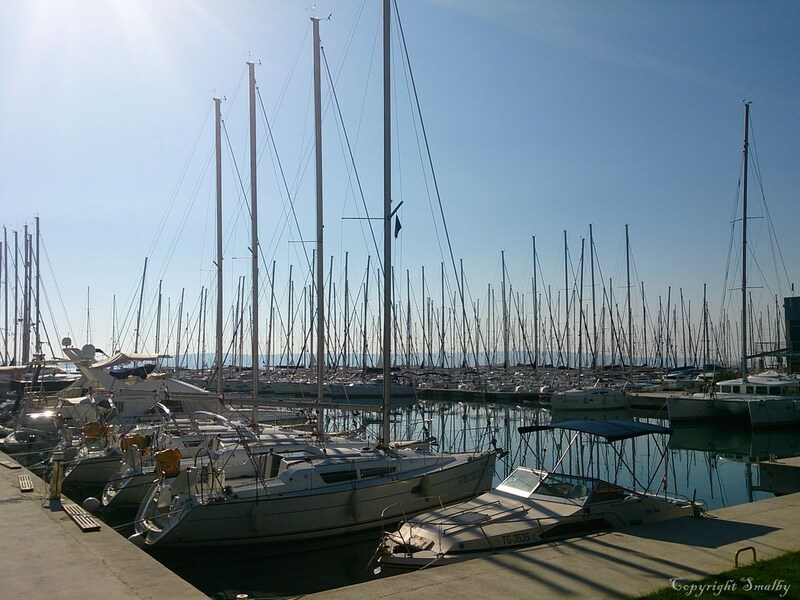 Kastela stretches for 17 km along the coats and there are 40 000 people living in Kastela. The eastern part of Kastela is an industrial part with two factories and several malls while the western part is oriented towards tourism. On the field of Kastela (Kastelansko polje) which is situated under the slopes of the Kozjak mountain, many cultures are cultivated but the most popular are olives, grapes and cherries. Kastela were inhabited already in the prehistoric times which is evidenced by archaeological findings in caves as well as churches from different periods and ancient villas. There is a legend about Miljenko and Dobrila from Kastela who were in love but their love was forbidden because of the fight between their fathers, so they had to meet secretly. However, when they were discovered they were both sent to monasteries from which they eventually escaped and managed to get married but Dobrila’s father just couldn’t make piece with it and killed Miljenko the day after their wedding. A few months later, Dobrila lost her mind, got sick and died. Her last wish was to be buried next to Miljenko in the church of St. John from the 16th century. Today in this church a tombstone is found with an inscription that says “Peace to the lovers”. In Kastel Luksic, besides their grave, Dobrila’s castle Vitturi is found as well as Miljenko’s castle Rusinic and the church from 1530 in which they were married. 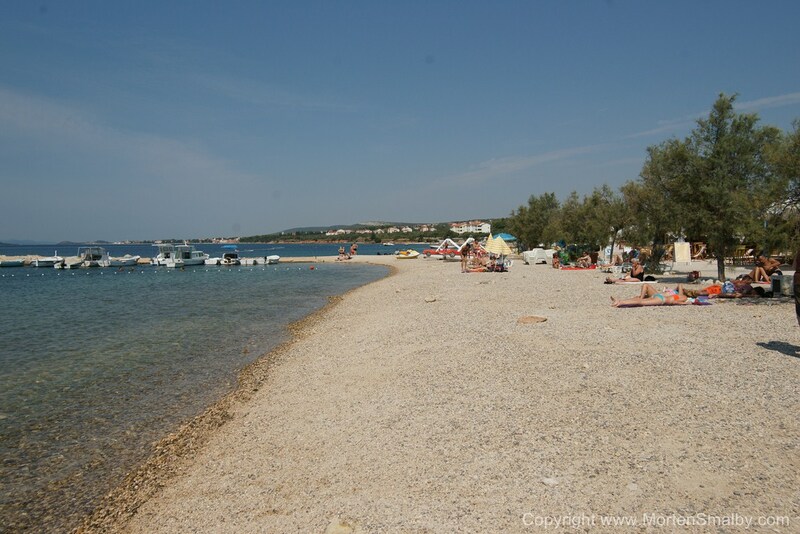 Divulje beach – situated in the western part of Kastela, near the airport of Split. The beach is pebbly and the sea is shallow which is suitable for children. Sun chairs and parasols can be rented at the beach. Bile beach is considered the most beautiful beach in Kastel Stafilic. It’s a 600 m pebbly beach ideal for families with children. Since there is not much natural shade at the beach you should bring a parasol. The beach has showers and two bars. Gabine beach is a pebbly beach with natural shade, suitable for families with children. It is situated near the Nehaj fort. There is a bar at the beach with live music almost every night during the summer. Petrova Njiva beach is a natural rocky beach, suitable especially for adults. Next to the beach you will find shade under the pine trees. 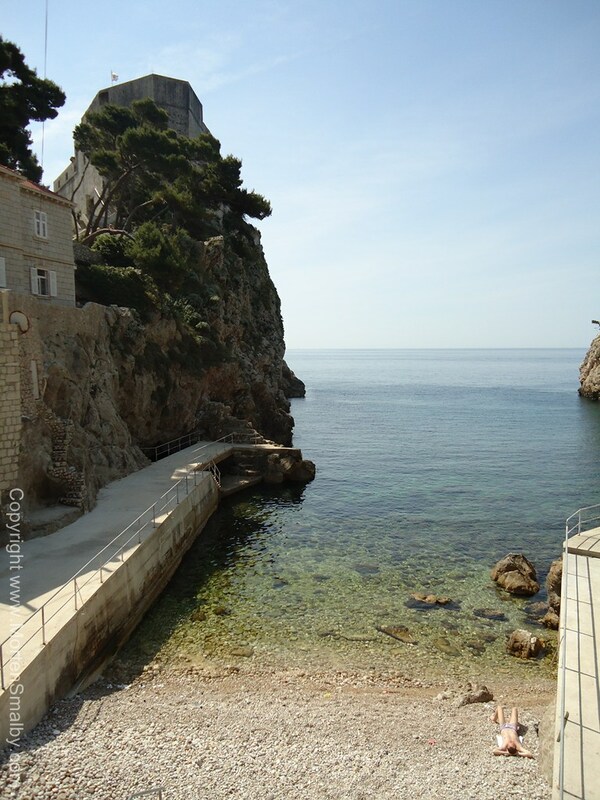 In 1909, the first boarding house with a beach was open in Kastel Luksic. 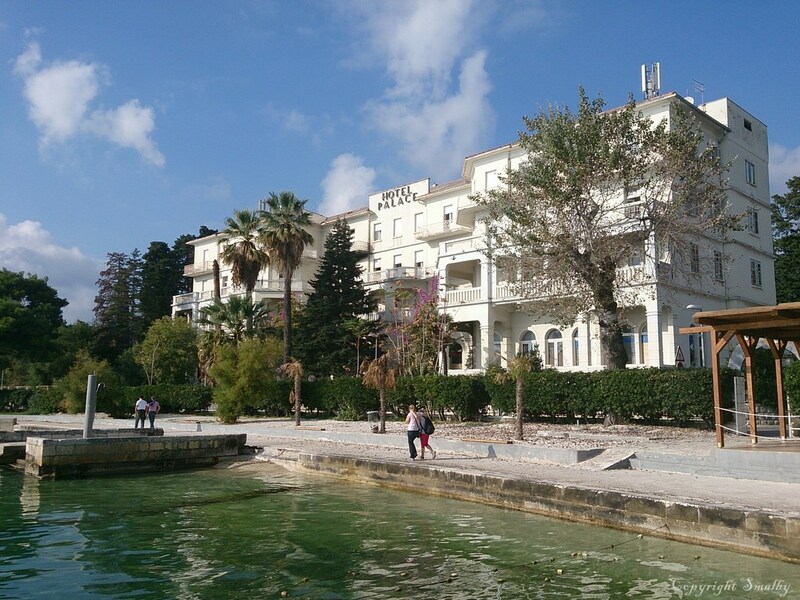 In 1928, the hotel Palace was open in Kastel Stari which was at that time the most representative tourist facility of the Riviera of Kastela. 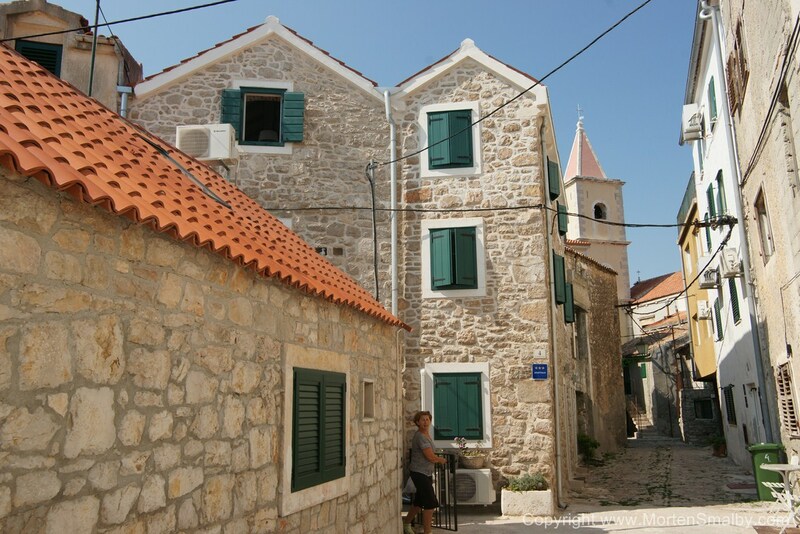 Today, accommodation in Kastela is mostly private: apartments and rooms in private houses. There are also several hotels in Kastela. Ballet School Hotel is a three star hotel in Kastel Kambelovac. The hotel has a roof terrace with a wonderful view of the sea. Rooms have balconies, air conditioning, Internet access and cable TV. There is also a restaurant in which you can taste national and international dishes. The beach is several meters from the hotel and children have a playground at their disposal. Two camps can be found in Kastela, camp U Dragana and camp Bilus. Camp Dragan is located in Kastel Kambelovac. It is a two star camp on a surface of 500 m2, for 12 persons. It has electricity hook-ups and sanitary facilities. In Kastel Stafilic you can see a 1500 years old olive tree called Mastrinka. The volume of the trunk is 6 m, the diameter of the treetop is 22 m and the height is 10 m. It was proclaimed a monument of nature in 1990. The Biblical Garden Stomorija is situated at the bottom of the Kozjak mountain, in the fields of Kastela. At this location, the church of St. Mary of Spiljana was raised in 1189, today called the Lady of Stomorija. For centuries, plants like fig, olive trees, grapevine and other plants that are mentioned in the Bible have grown here as well as Judas’s tree. In the renovated Vitturi castle you can visit the Museum of Kastela. Every year from 1st July till 31st August Kastela Culture Nights take place; art exhibitions, theatre performances, concerts of classical and popular music, folk dances, sporting events and festivities are held. 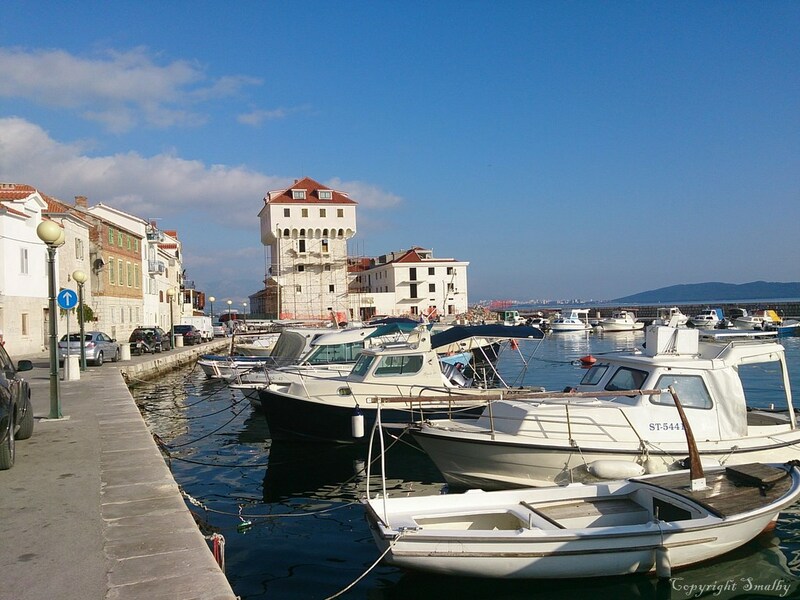 As Kastela is located in Central Dalmatia, there are possibilities aplenty. 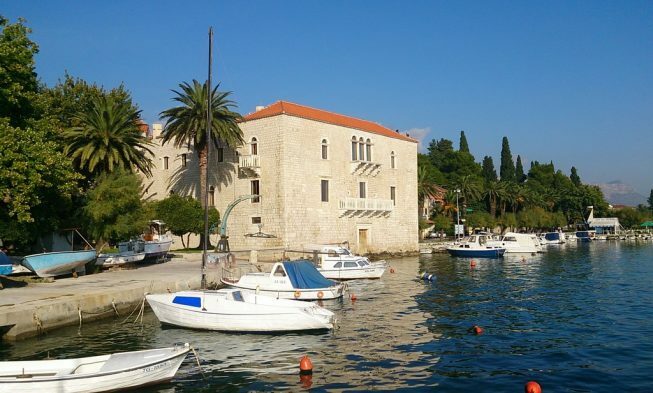 Both Split and Trogir are in the close vicinity; these towns have a rich historical and cultural heritage, with their Old Towns protected by the UNESCO. The town of Omis is also not far; in the vicinity of Omis is the Cetina river where you can go rafting. If you want to spend a day in the nature, you can visit the National Park Krka or the National Park Plitvice which is the most visited Croatian national park. Heading south from Kastela, you can visit the Nature Park Biokovo situated above Makarska. 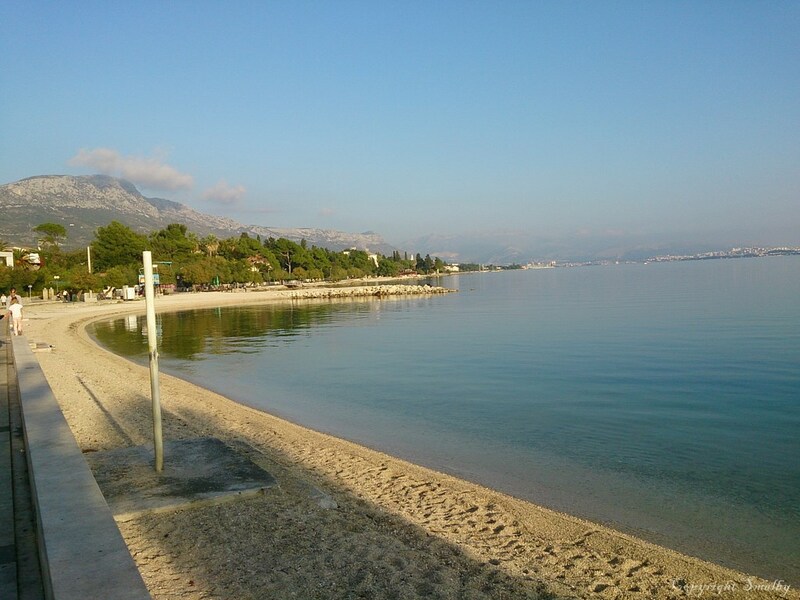 Makarska and its whole Riviera is popular for its beautiful beaches so you can spend a day enjoying some of the beaches. 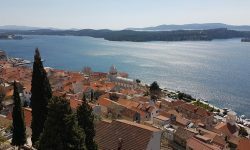 It is also possible to visit some of the islands like Brac or Hvar; there are several daily departures from Split to these islands. Kastela has plenty of restaurants. 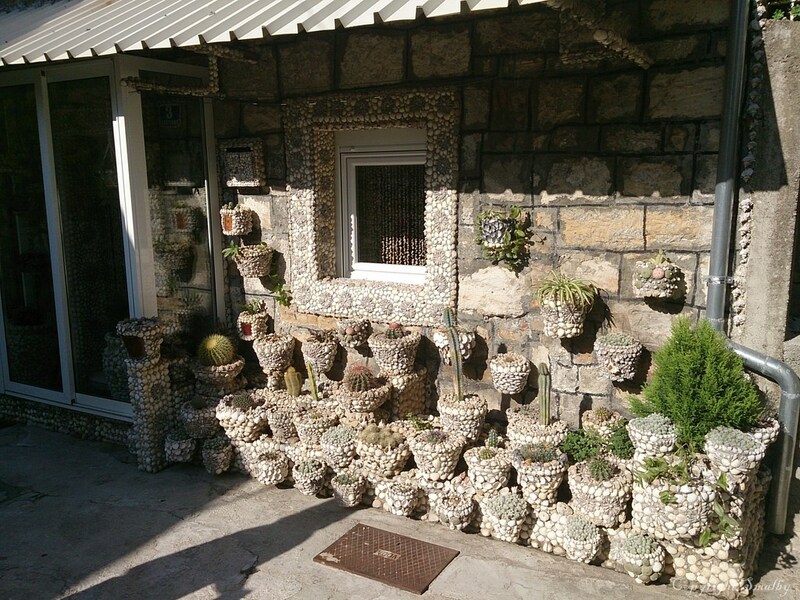 Some of the most popular are Odmor and Baletna Skola which is located next to the sea and has a great offer of Dalmatian specialties as well as the international ones. Their wine list contains more than 100 wines. In Kastela you can also have a meal in some of the taverns, locally called konoba; these are usually run by families and thus the food is fresh and organic and the prices are low. Pizza places and fast food restaurants can also be found. To try some of the wines you should visit the wineries of Kastela. The Kovac winery from Kastel Luksic is one of the best wineries in Croatia. The autochthonous variety of Kastela called crljenak is grown here and it is actually the same variety as the American Zinfandel. Kastela has its shopping mall, Emmezeta, in which you can buy groceries, clothes, shoes, toiletries… As Split is in the vicinity, you can also go shopping in one of its malls, Joker or City Centre One. There are no discotheques in Kastela but there are several bars to spend a night out. However, if you want to have a real party you should go to Split which has a really rich offer of places to go out or even Makarska which turns into a party place during the summer season. Since Kastela is situated next to the second biggest town in Croatia, Split, it can be reached by all means of transport; all buses or trains that go to Split pass through or next to Kastela. If you come by plane, the airport of Split is actually situated in Kastela. Arriving by car via the highway, take the exit at Dugopolje and continue in direction Split.